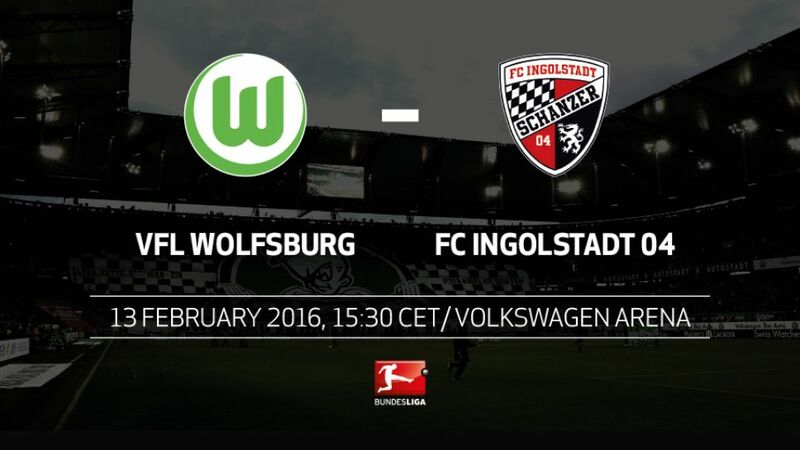 Faltering VfL Wolfsburg will be aiming to return to winning ways when FC Ingolstadt 04 come calling this Saturday (kick-off: 15:30CET/14:30GMT). Without a win in their last seven Bundesliga matches, since a thumping 6-0 victory over SV Werder Bremen back in November, Wolfsburg desperately need to stop the rot when welcoming Ingolstadt on Matchday 21. With the Wolves sitting eighth - five points behind FC Schalke 04 in fourth - European qualification next season is in jeopardy just as the club prepare to face Gent in their UEFA Champions League last 16 debut next week. For their part, Ingolstadt have climbed to within two points of the Wolves and a win at the Volkswagen Arena would cement their current status as the second strongest side in Bavaria, and take them closer avoiding relegation. Wolfsburg are 26 points adrift of league leaders FC Bayern München, while 18 separate them from Borussia Dortmund, who are in the second place the Wolves occupied at the end of last season.The gap to third place is as large as the gap to 16th (eight points).Dieter Hecking's side have picked up just one of a possible nine points in the second half of the season so far.The Wolves are on a seven-game winless run – the longest of any club in the Bundesliga at present.Ingolstadt are only the tenth team in the history of the Bundesliga to have scored fewer than 15 goals after 20 matches.The nine teams before them only had an average of 15 points, however, while Ralph Hasenhüttl's side boast 26 – never before has a team with such a toothless attack had so many points.Christian Träsch is set for his 100th game in a Wolfsburg shirt, and against his home-town club to boot.